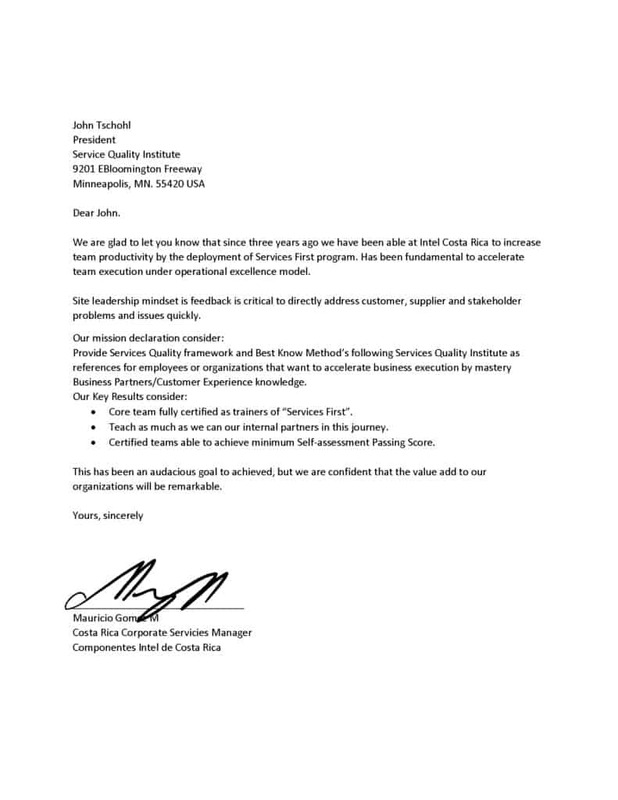 Service Quality Institute gives companies all over the world the techniques and training to make and keep quality customer relationships. Loyal, returning customers drive more revenue each year in every industry worldwide than new customers, making quality customer service an essential element to any sales strategy. Through training programs, conferences, books and other materials, your employees can learn about the value of a service culture from customer service guru John Tschohl and SQI. SQI’s training programs, conferences, and other materials empower employees and help to create happy, loyal customers. SQI has already helped hundreds of companies across the world drive sales through customer loyalty, and create an organized system for improving customer relationships. With easy to follow materials and guided strategies to resolve conflict in any industry or step in the process, managers and company decisions makers are empowering their businesses with unbeatable customer service tools. Read the customer service testimonials to see how business leaders are improving their company performance through quality service. Introduce these powerful tools into your company and start growing business success through customer satisfaction. Dear, John, we really enjoyed meeting and working with you and we would love to have you come back to speak at future events! This autumn we organized one of the biggest business events in Bulgaria – WOW Customer Service with John Tschohl. John spoke for almost 400 business owners and managers. John’s energy, passion, endurance and connection with the audience was beyond impressive. His message was relatable and his humor kept the audience’s attention for the entire presentation. From the moment he came into the hall to the moment he left the conference his focus was on our attendees and his professionalism did not go unnoticed. Our attendees left his presentation energized and excited about his message and his performance. We received a tremendous amount of positive feedback on John’s presentation! “During the past 16 years, my organization has utilized many of the programs that The Service Quality Institute has produced. Beginning with the original; Service First – Video Library, Leading Empowered Teams, Loyal for life and Feelings. All of them are outstanding programs to initiate a Customer Service Culture in any organization that is serious about developing a Service Strategy that will shadow its competition. Most recently this year, we have started to train our staffs with the newest program that Mr. John Tschohl launched; Empowerment – A way of life. 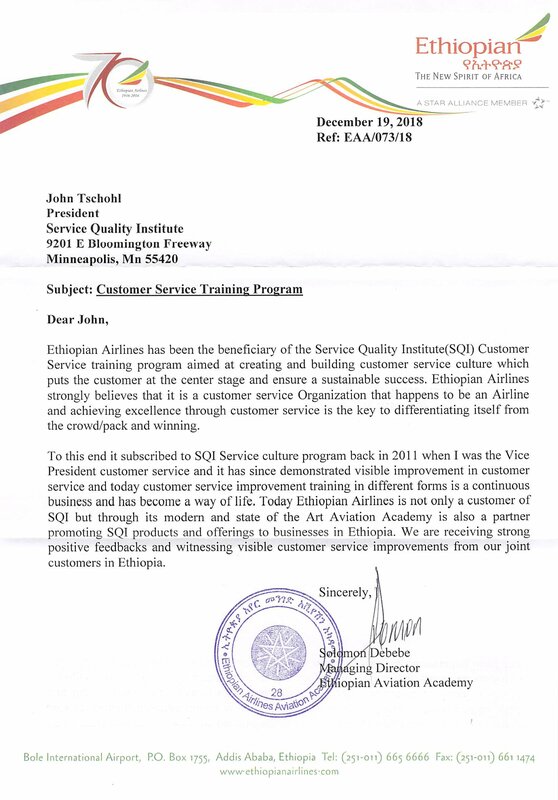 Ethiopian Aviation Academy conducted a customer service training entitled “Delighting the Customer” to a total of 823 employees of the Commercial Bank of Ethiopia (CBE). The training was held from July to September, 2015 under the theme “Feelings for Professionals” highlighting the importance of feeling and professionalism for excellent customer service. The participants include front line employees, first line supervisors and branch managers stationed in Addis Ababa, Mekelle, Dire Dawa, Bahir Dar and Jimma. According to the participants, the training was motivating, inspiring and a true wake-up call to what customer service is all about. They also said that they witnessed how important professionalism and feeling good about oneself is in providing excellent customer service. The Academy thanked the instructors and their colleagues for the successful training. 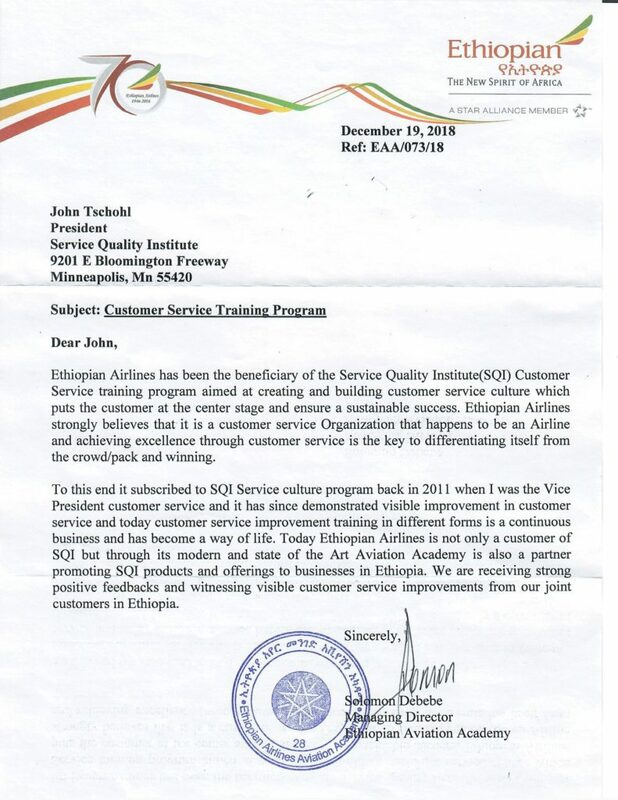 This is the second time that the Academy gave such courses to trainees who are not employees of Ethiopian as part of discharging the Company’s social responsibility by sharing its best experiences in leadership and management to different public institutions and enterprises, generating revenue for itself in the process.